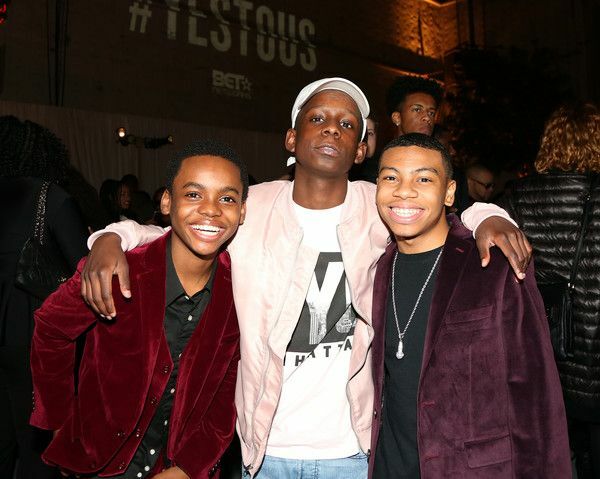 Before the first night of three nights of the New Edition biopic premiered on BET, the cast and celebs came out to celebrate. 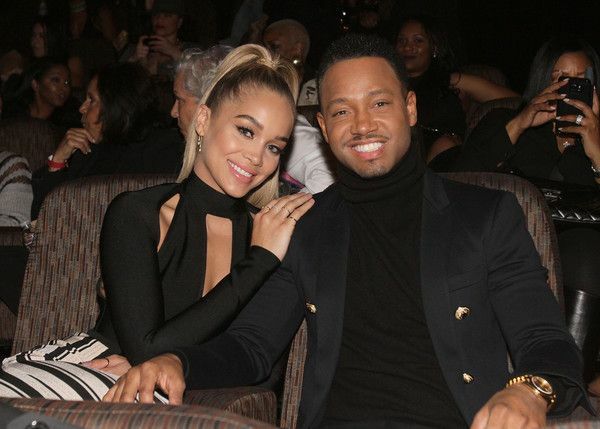 La La, who plays Ronnie Devoe's mother in the movie, rocked a sheer black Thai Nguyen dress for the big night at Paramount Theater. 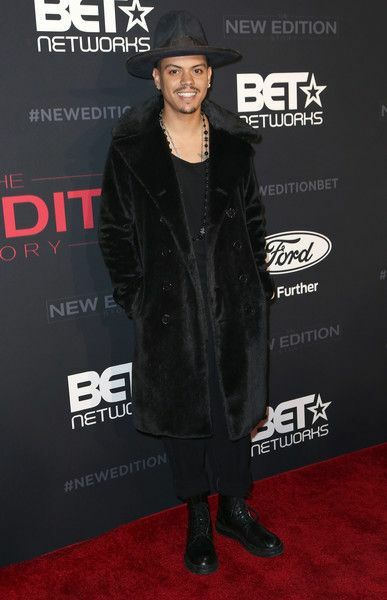 Slaying all up and down this carpet. 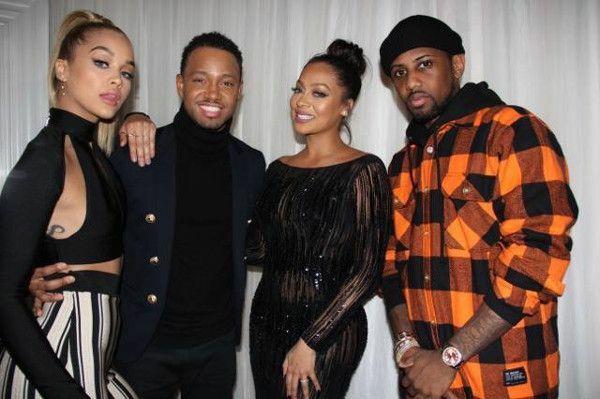 She posed it up with the homie Terrence J and his girlfriend Jasmine Sanders and Fabolous. 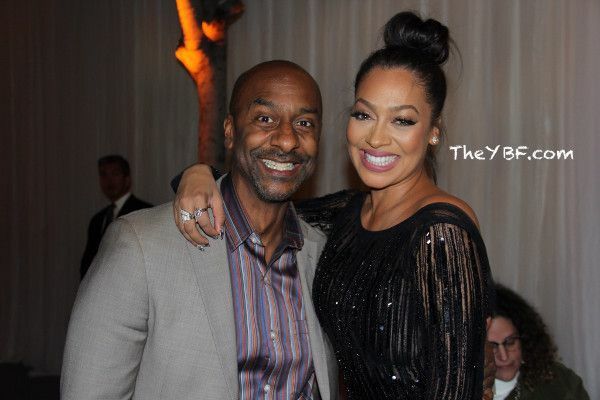 Keisha & Shawn together again! 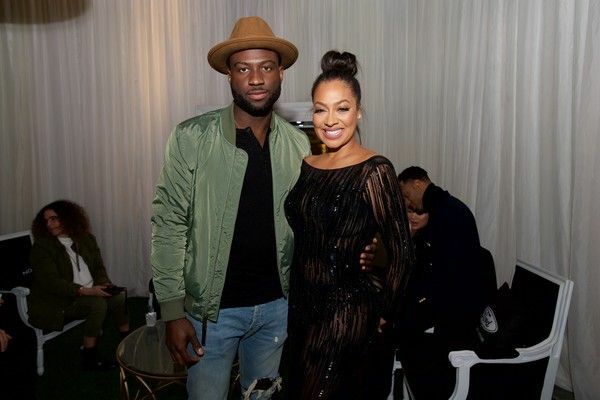 La linked up with her former "Power" co-star Sinqua Walls at the after party. 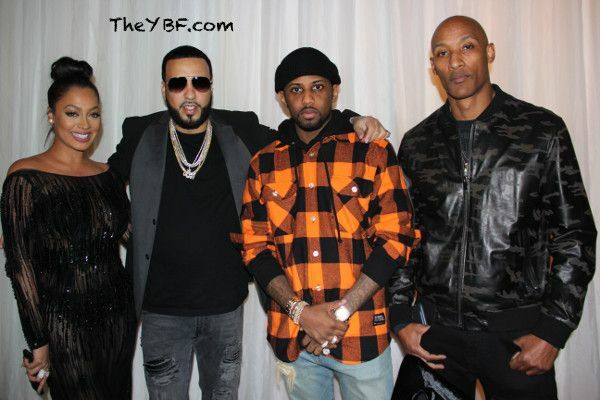 She posed it up with French Montana and Stephen Hill at the after party. 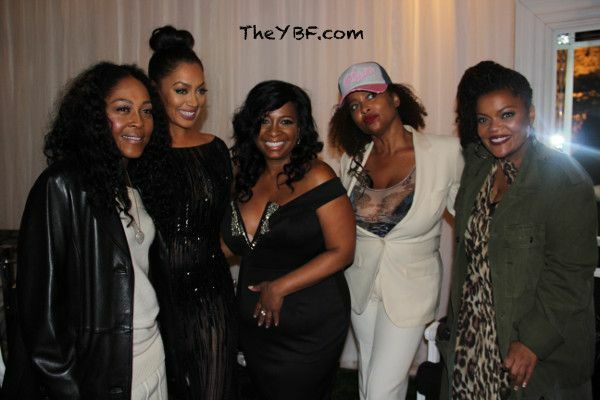 The moms of New Edition -- Monica Calhoun, Yvette Nicole Brown, Lisa Nicole Carson and Sandi McCree -- came out to party. 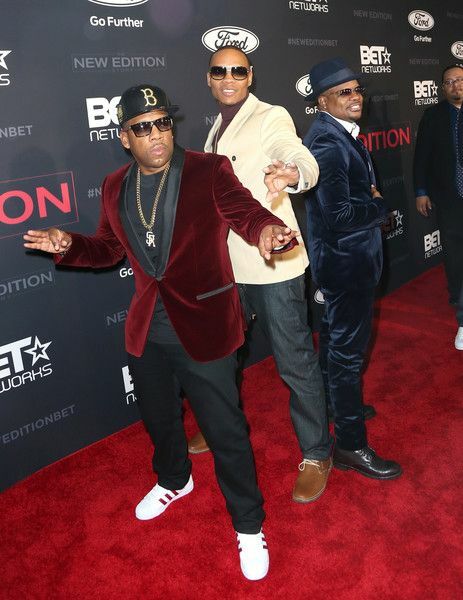 Michael Bivins, Rickey Bell and Ronnie Devoe were front and center for their big night. 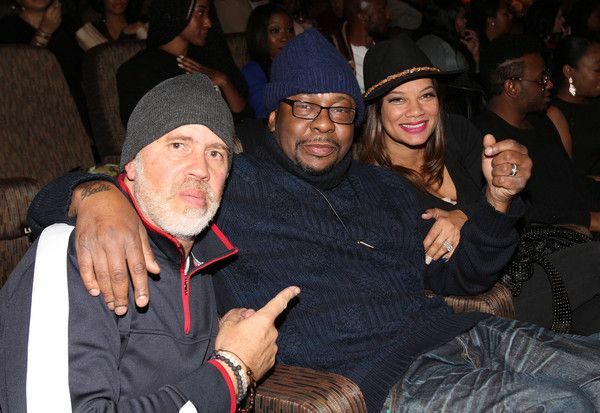 Same for Bobby Brown and wife Alicia Etheredge. Dante Hoagland, Tyler Williams, Jahi Winston and Myles Truittare the absolute cutest. 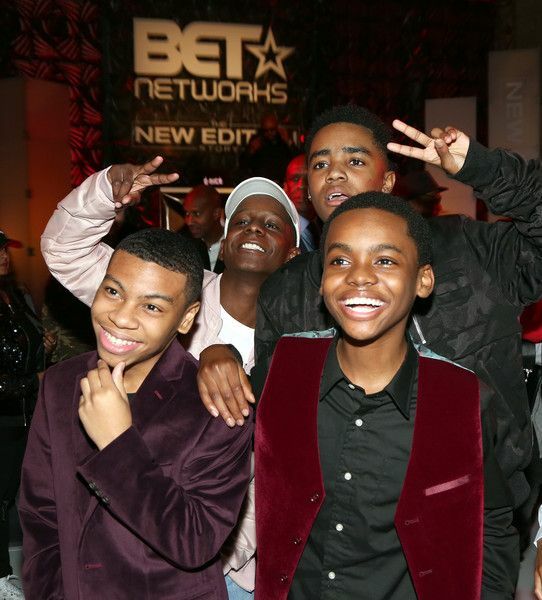 They're playing the youngest versions of New Edition in the biopic. 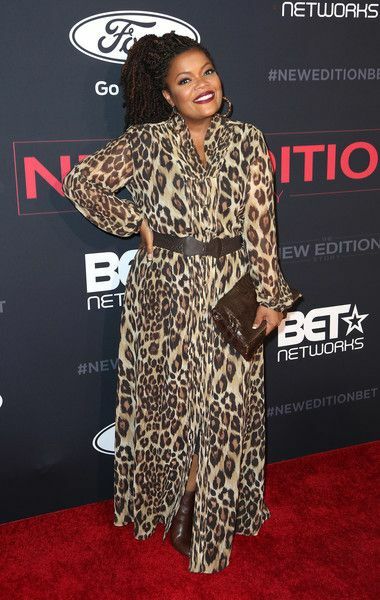 LeToya Luckett looked amazing as usual. It's not easy to pull off burnt orange/copper. 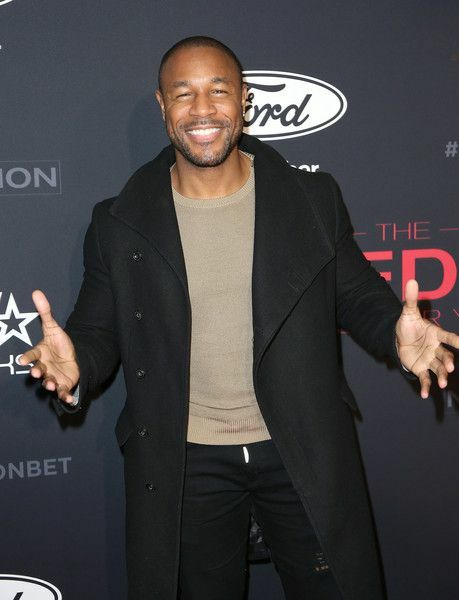 Tank, who plays record label owner Jheryl Busby, hit the carpet. Did he forget to zip? KeKe Palmer went the all black route in a bralette and sheer skirt and Louboutins. Stripes, purple hair, it all works! Jasmine and Justine Skye came through with some attention grabbing looks. 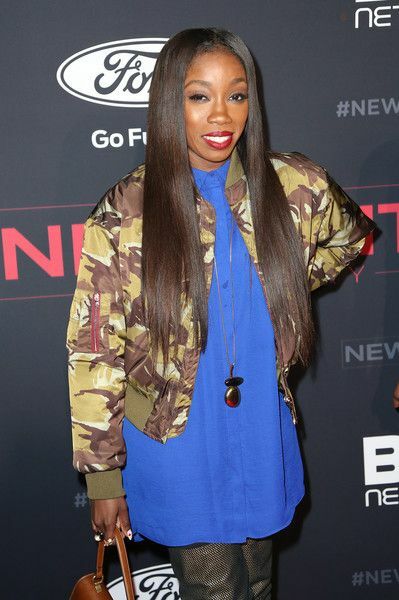 Estelle came out to support too. 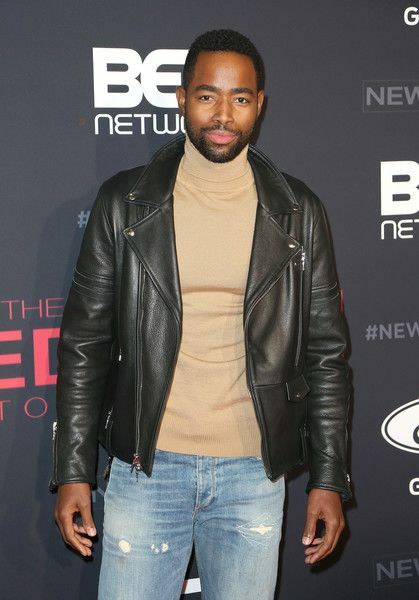 "Insecure" star Jay Ellis and Evan Ross posed it up. 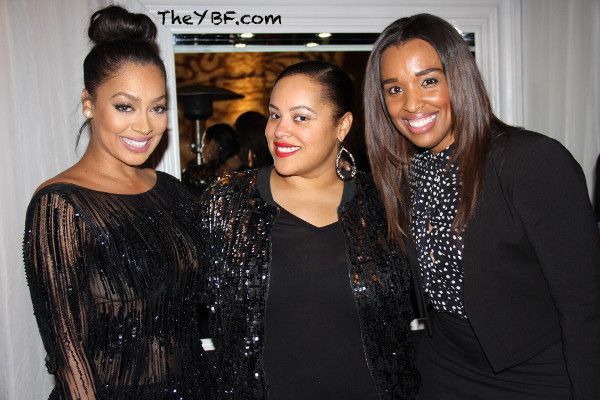 Apparently all black and leather were themes for the night, see Lil Mama and Bre-Z. 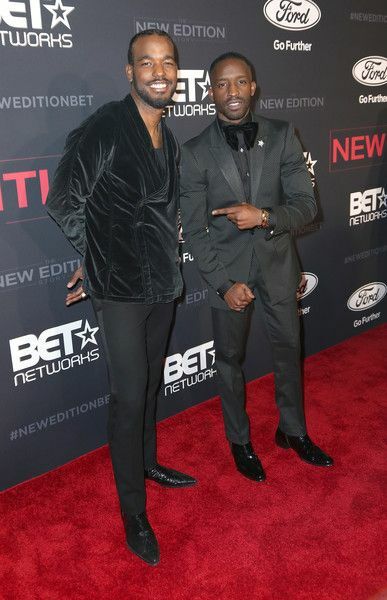 Luke James (playing Johnny Gill) and co-star Elijah Kelly (playing Ricky Bell) linked up on the carpet. 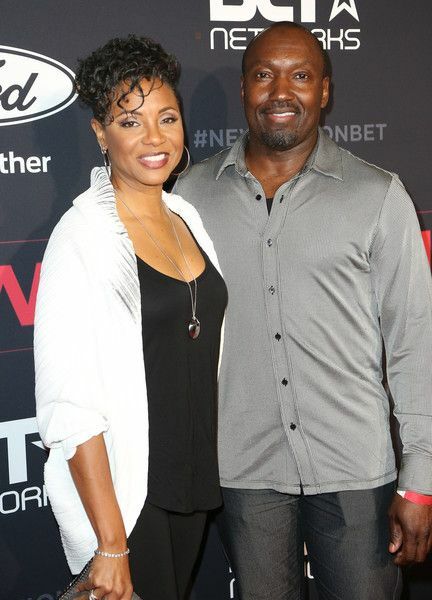 MC Lyte has a new man and she wants the world to know! A few days ago she revealed she's fallen in love and made her new love IG official with a pic of them all loved up. Now they're hitting the red carpet together. Get it. 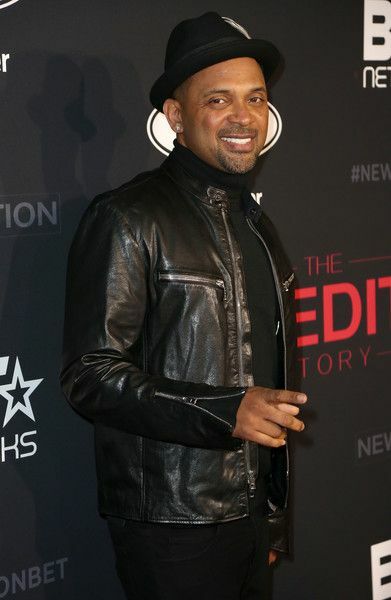 Mike Epps came through to support as well. Fab times. 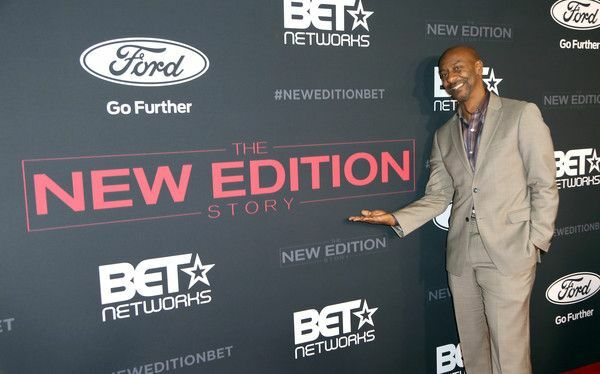 The biopic airs on BET with part 2 and 3 this Wednesday and Thursday. PREVIOUS: CONGRATS! RL (From Next) & Wife Lena Welcome Baby Girl Rory!